We all are familiar with how Jews survived two thousand years of persecution and exile. In fact His Holiness often counsels us to learn from the Jewish experience. It is on account of this that l watched 'the Pianist', Roman Polanski's finest work that fetched him an Oscar. I wanted to watch it for a long long time. It's a touching movie, about a Polish Jew, a pianist, whose family members are massacred by the Nazi Germans, about how he alone survives thanks to his courage, intelligence and, above all, his love and passion for piano, against all odds. I recommend all young Tibetans to watch it; or perhaps they have already watched it. I could be the last! I thought we Tibetans can relate a lot to this. Our people have also gone through similar persecution under the Chinese. I was wondering how humans could become such cruel creatures, committing genocide, exterminating a whole range of people - men, women, children, homo-sexuals, not sparing anyone. The potential for such crime is in all of us! I am proud we Tibetans have stood our ground and so far haven't committed such inhuman crimes on any people! I am proud we haven't strayed from the principles of non-violent political struggle, despite being oppressed like hell for more than fifty years. I am proud we still regard the Chinese, who kicked us out of our own homes, who destroyed our way of life, who massacred a more than million of our fellow Tibetan brothers and sisters, as humans inflicted with ignorance, and has the capability to set their courses right. I am proud that our leader, His Holiness the Dalai Lama, calls them "our Chinese brothers and sisters." Above all, I am proud that we are ready to forgive the Chinese and look for peace and reconciliation with them. I believe It's all human hatred that creates such kind of brutal tragedies. While watching the movie, my blood was boiling with anger over the way Nazis treated the Jews, so much so that I wanted to bang on the table. But then I admonished myself, saying, "well it is exactly such kind of anger that creates such bloodshed. One has to negotiate anger, calm it down, control it, so that one doesn't eventually become a Nazi or a Fascist." The world definitely needs peace, which is possible only when we learn to forgive, the way many Tibetan political prisoners forgave (but not forgot) their Chinese captors. Is it impossible to create peace? Does peace really confuse men, as Bresaies tells Achilles in Troy? Humans are genius. As the late historian Howard Zinn, known as the Mahatma of US, once said, "We have created and invented miracles on this earth. Why can't peace?" Indeed, why can't we with leaders like His Holiness to guide us in this world? All it takes for the world is to take a leaf out of us Tibetans, who have never lost faith in it, in PEACE! May PEACE prevail on earth! OM MANI PADME HUNG! March 7, 2002 Lodi Gyari, Special Envoy of His Holiness the Dalai Lama at Hearing on U.S. Policy Considerations in Tibet House Committee on International Relations assured to work very hard and sincerely to start a dialogue leading to negotiations. U.S. State Department's Tibet coordinator, Paula Dobriansky warned, "If the Chinese government fails to engage with the Dalai Lama, who vigorously seeks dialogue and a mutual solution, Tibetan resistance could intensify and the potential for political upheaval could grow." March 10, 2002 His Holiness the Dalai Lama stated during the 43rd Tibetan National Uprising Day, “I truly believe that one day, there will be the chance of dialogue and peace because there is no other choice for China or for us. The present state of affairs in Tibet does nothing to alleviate the grievances of the Tibetan people or to bring stability and unity to the People’s Republic of China. Sooner or later, the leadership in Beijing will have to face this fact.” His Holiness reiterated that he is not seeking independence. As I have said many times before, what I am seeking is for the Tibetan people to be given the opportunity to have genuine self-rule in order to preserve their civilisation and for the unique Tibetan culture, religion, language and way of life to grow and thrive. For this, it is essential that the Tibetans be able to handle all their domestic affairs and to freely determine their social, economic and cultural development. March 11, 2002 Legchok, Chairman of the Tibet Autonomous Region Government, who was in Beijing to attend the Fifth Session of the Ninth National People's Congress - expressed anger at Dobriansky's statement. He rejected Dobriansky’s claim as "indiscreet remarks and blind judgement" which were not based on the facts. Further, he criticized His Holiness for engaging in propaganda aimed at misleading world Opinion. He said, “The Dalai and his followers have no authority to represent the Tibetan people. The regional government will never relax its fight against separatism.” He also said that the central government's policy has been clear and consistent: The Dalai must give up his pro-independence position, stop his separatist activities and make a public announcement agreeing that Tibet is an inalienable part of China, that Taiwan is part of China and that the People's Republic of China is the country's sole legal government. March 14, 2002 German Parliament adopted a resolution on Tibet titled, "Human Rights and Development in Tibet" and called upon the National People's Congress of the People's Republic of China to "press for a direct dialogue to be taken up with the Dalai Lama, with the aim of negotiating a Statute on Tibet that would be based on the Tibetans' right to self-determination and guarantee them extensive rights of autonomy within the structure of the People's Republic of China." German Bundestag considered that a direct dialogue, as proposed by the Dalai Lama, to be indispensable to a lasting political solution. It would be a great gain for China and the people who live in China if the dialogue about the situation in Tibet were to commence without delay and lead to a lasting political solution. June 20, 2002 Losang Toinzhub, Vice Chairman of the Tibet Autonomous Region's People's Congress told [Joachim] Schmillen, head of the planning staff of the German Foreign Ministry on his visit to Lhasa that "The Central Government's policy for the Dalai Lama is consistent, clear, and definite. 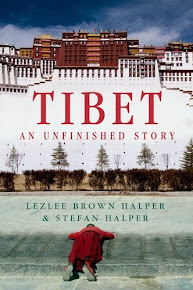 The key to whether it carries out talks with the Dalai Lama is founded upon whether or not the Dalai Lama gives up his stance of splitting the motherland." He stressed that as long as the Dalai Lama genuinely gives up the stance of Tibet independence and splitting China, and acknowledges that Taiwan is a province of China, then the Tibetan people will welcome his return. If the Dalai Lama stubbornly insists to the end, then there is no way out of the predicament. July 01, 2002 Gyalo Thondup, the elder brother of Tibet's spiritual leader, the Dalai Lama, who has acted as an envoy between Beijing and the Dalai Lama in the past visited Beijing on July 1, then to Lhasa on July 3-12, and to his native Amdo Prefecture--now Qinghai Province--and finally to Xinjiang Province in northwestern China. His entire journey lasted about three months. Thondup hopes for frank talks with Chinese and Tibetan authorities about China's often heavy-handed treatment of the Himalayan territory. Exile Tibetan Government welcomed the Chinese approval of permitting Gyalo Thondup to travel to China and Tibet, which could be a helpful measure to clear doubts that is rifting Beijing and Dharamsala apart. Gyalo Thondup later stated "I discussed two major issues with the Tibetan Autonomous Region Officials. First, Buddhist monasteries must be thoroughly renovated and the special qualities of the Tibetan race, culture, and language maintained. Second, Tibetans inside and outside Tibet should be allowed to move freely and communicate without restrictions." He saw a great hope of Tibetan situation in future and said he urged Chinese authorities to meet personally with Tibetan exile leaders, preserve Tibetan culture, and permit Tibetans to travel and communicate freely. July 14, 2002 Per Gahrton, a Swedish Parliamentarian and Vice Head of a 20 strong European delegation to China urged China's Parliamentarian head Li Peng and Vice Premier Qian Qichen for a dialogue between Beijing and the exiled government of the Dalai Lama. But, China insisted that the Dalai Lama’s October 24, 2001 Strasbourg speech was not enough to start a talk and also were not ready for the talk. August 09, 2002 Guo Jinlong, Tibet Autonomous Region Party Secretary said that the policy of the Central Government towards the Dalai Lama is very clear. He repeated China's long-standing preconditions for talks with the Dalai Lama: that he should renounce independence and separatist activities and admit Tibet and Taiwan are inseparable parts of China. He even criticized The Dalai Lama by saying "We believe the Dalai is hypocritical in terms of religion. He makes use of religion to carry out activities to split China." September 09, 2002 A Four member Tibetan delegation headed by Special Envoy Lodi Gyari and Envoy Kelsang Gyaltsen visited China (Beijing, Chengdu, Shanghai) and Tibet (Lhasa, and areas in Nyingtri and Shigatse) and returned to Dharamsala, India, on September 27, 2002. The purpose of the visit was two fold: First, to re-establish direct contact with the leadership in Beijing and to create a conducive atmosphere enabling direct face-to-face meetings on a regular basis in future. Secondly, to explain His Holiness the Dalai Lama's Middle Way Approach towards resolving the issue of Tibet. Among the Tibetan officials they met were Mr. Ngapo Ngawang Jigme, Vice Chair of the Chinese People's Political Consultative Conference (CPPCC); Mr. Ragdi, the Chairman of the Tibet Autonomous Region People's Congress and Deputy Party Secretary; Mr. Legchok, Chairman of the Tibet Autonomous Region Government and Deputy Party Secretary; Mr. Samdup, Head of the Tibet Autonomous Region United Front Work Department; and Mr. Atrin, Vice Chair of the Sichuan Province Chinese People's Political Consultative Conference. In Beijing they met Mr. Wang Zhaoguo, Vice Chair of the CPPCC and the Head of the Central United Front Work Department and Mr. Li De Zhu, Minister for Nationalities Affairs and Deputy Head of the United Front Work Department. 17 September 2002 Kong Quan, China’s foreign ministry spokesman commented that there is no change in (China) policy. He said that “As long as the Dalai Lama stops his separatist activities and recognizes that Tibet is an inalienable part of China, that Taiwan is also a part of China and that the government of the People's Republic of China is the sole legitimate government representing China... then we can have talks with the Dalai Lama.” These are the three pre-conditions of opening up dialogue which were earlier set by Chinese President Jiang Zemin in 1997. He reiterated that Gyari and his four-member delegation were on a private visit to meet with relatives and tour the region. Legchok, Chairman of the Tibet Regional Government, held an hour-long talk with émigré delegations on 14 September and informed them of the changes and economic development in Tibet in the past 50 years. September 18, 2002 The Tibetan Parliament in exile urged the Indian government to actively support the five-point peace plan offered by spiritual leader Dalai Lama for genuine autonomy for Tibet and its demilitarization and denuclearization to make the region a zone of peace. Gyari Dolma, Deputy Speaker addressed the press conference calling for right of self-determination to the Tibetan people to protect their distinct religious and cultural identity. She said it was in fast a right to ‘self-rule’ with some areas like defense, currency and external affairs left to Chinese regime. October 25, 2002 U.S. President George Bush asked Chinese President Jiang Zemin to begin dialogue with Tibetan leaders to resolve the Tibetan issue. While addressing the medias following their summit in the Bush Ranch in Crawford, Texas, President Bush said, "I also spoke of the importance of respecting human rights in Tibet and encouraged more dialogue with Tibetan leaders." November 06, 2002 His Holiness the Dalai Lama during an appearance at Mongolian National University to accept an honorary degree spoke, "I am not seeking independence. I am seeking self-rule. I think that benefits both Chinese and Tibetan people." However on His Holiness visit to Mongolia, Legchok, Chairman of Tibet Autonomous Region Government was quoted in the Official China Daily by saying, “is further evidence that he (Dalai Lama) intends to spread his separatist views in the international arena under the cloak of religion." He also said that the Dalai Lama could ''never represent the Tibetan people,” and "Knowing that his separatist stance has no place in the world today where peace and development prevail, the Dalai Lama now adopts a new strategy of playing down separatist sentiments while trumpeting the highest degree of autonomy of the so-called 'greater Tibet'." Legqog said. November 14, 2002 Professor Samdhong Rinpoche, Kalon Tripa addressed the Tibet Conference at European Parliament by saying “The present Chinese hard-line policy on Tibet is counterproductive and only exacerbates the Tibet problem.” But he also expatiated “Against this gloomy background, we welcome very much the recent positive developments in our relation with the Government of People's Republic of China. It is creating a breathing space in a tense and volatile situation.” He urged the European Parliament to appoint EU Special Representative for Tibetan Issues to help Tibet and China to resolve the Tibetan problem peacefully. Later, a resolution on Tibet was adopted at the European Parliamentarian Conference on Tibet in Brussels, Belgium. November 17, 2002 The Tibetan government in exile has cautiously welcomed the appointment of China's new leader, Hu Jintao. An official statement from Dharamsala in India asks Mr Hu to use his wisdom to resolve the Tibetan issue gradually. Ms. Kelsang Takla, Secretary for International Relations, Tibetan government in exile said, "Because of the several changes that have taken place and continue to take place in China, one would imagine that if China's policy is to implement real change and improvement, then it should also be percolated in Tibet." This morning I received a phone call. It said you envoys arrived in Peking on December 25. It said you would make your first visit to the province of Hunan. It is said that Hunan is the birthplace of Mao Tse-tung. It is said that after a few days of sightseeing, real talks will take place in Peking. Unlike in the past, it is said, for the success of the talks, this time a special prayer and ritual is being performed in Drepung monastery, South India. Dear envoys of the Dalai Lama, have you finished your tour? How is the landscape of Hunan province? How are the people of Hunan province? Did you see portraits of Chairman Mao there? This morning I made a telephone call to Kashag and asked about you envoys. The Kashag said it placed into your hands a document outlining, in detail, ways to achieve meaningful autonomy for the entire Tibetan people. The Kashag said the envoys are traveling once again to present this document to the Chinese Government. Dear envoys, is that true? Is this the only job you have this time? Do you understand all the nuances of this document? Do you think the Chinese officials will acknowledge this document? From December 18 to 20, the Chinese government organized the so-called fifth Tibet Work Committee meeting in Peking, during which it reaffirmed its position that China’s policy in Tibet is correct, devoid of any errors. During your talks, are you envoys going to contradict this and say China’s policies in Tibet are incorrect and error-ridden? Or are you envoys going to return in silence, after completing your tour and presenting the document to the Chinese officials? Dear envoys, please tell us! While listening to this song, a strong chill went down my spine; my whole body trembled. Tears welled up in my eyes. Dear envoys, what kind of feelings the song evoked in you? Dear envoys, how was your tour to the province of Hunan? Did you breathe a clean air there? How was the food of Hunan? Did it taste good? Dear envoys, have you heard this: that on December 26, trulku Jangchup Rinpoche, monk Sangye Gyatso and Apo Ma were arrested by the Chinese security forces? It is said that as soon as you envoys set foot in China, the Chinese government had further tightened its noose on Lhasa; that security forces patrolling the streets of Lhasa swelled to huge numbers. Dear envoys, have you heard this: that on December 26, cadres from the Cultural and Public Security Bureau raided all the Internet cafes in Lhasa, clamping down on my freedom to chat with friends on the Internet? Dear envoys, what if Tibet once again plunges into a vicious cycle of bloodshed after your arrival in China? Can you envoys then have a peaceful and contented sleep? Dear envoys, some powerful countries in the West have welcomed your tour to China and your talks with the Chinese officials. It appears they have a reason behind this. It is said that another goal behind your tour to China and talks is to showcase your heartfelt acknowledgment of the concerns expressed by all the countries that support Tibet. However, I still don’t understand how you are going to do this. Dear envoys, perhaps you are not aware of this: while you are sightseeing, some of the monks in my hometown have been ordered to surrender their phone numbers to the Chinese security officials, that if they are to spent more than one hour in internet cafés, they have had to obtain a written permission from them. Dear envoys, are you aware of these repressive measures? Dear envoys, are you going to return in silence after submitting the document to the Chinese government officials? Or are you going to discuss the current situation in Tibet, of cases of torture and arbitrary arrests, with them? Are you going to speak on this, dear envoys? When you return after presenting your suggestions and opinions, do you think the Tibetan political prisoners will be set free? Do you think it will help overcome the pain and agony of their family members? Recently, the Tibetan Centre for Human Rights and Democracy (TCHRD) published its annual human rights report for the year 2009. The report documented that in 2009 alone, 300 Tibetans have been arbitrarily arrested and imprisoned. Dear envoys, before your return to Dharamsala, can you help release at least 10 political prisoners, if not the whole 300 of them? Dear envoys, during your tour in China, have you ever kept your eyes on what’s happening inside Tibet? I have a reason behind this question. I still vividly remember an incident, dear envoys. It occurred after the great peaceful demonstrations that swept throughout Tibet in 2008. Moment after returning to Dharamsala from your visit to China, you envoys met the press and issued a statement. During that press conference, the present deputy editor of Bod Kyi Bangchen (Tibet Express), Mr. Chonyid Woeser, asked you envoys a question: are you envoys aware of Chinese security forces firing on unarmed Tibetans in Chamdo? To this, the chief envoy, Mr. Lodi Gyari, said: “We have not heard of it at all… no body called us to relay this information.” For an ordinary Tibetan citizen like me, this answer still gives me pain and suffering. Dear envoys, while touring China, you might have been told to switch off your mobile phones, to shut down your laptops. Dear envoys, how did you then pay attention to all the incidents occurring in Tibet? How did you call Tibetans outside Tibet to seek information? If you are asked these questions when you return to Dharamsala this time, what kind of answers are you envoys going to give? Dear envoys, even as I am writing this article, I heard that you all have arrived in Peking. Have you already submitted to the Chinese officials the document that outlines in detail the ways to achieve meaningful autonomy for the entire Tibetan people? What was their reaction? Did the Chinese officials read out to you envoys the lengthy report that explained China’s grand plans to develop Tibet’s economy and society? Did you envoys put forward any suggestions regarding this plan? Did you criticize the unbearable repressive situation inside Tibet? Did you put forward your demands for the unconditional release of all Tibetan political prisoners? Dear envoys, did the Chinese officials listen to and acknowledge your views and opinions? Dear envoys, when you finish your tour, don’t make haste; take your time, there’s no hurry in making a return journey. Dear envoys, I pray for your safe return to Dharamsala! Whenever the exile delegations visited China for dailogue, our eyebrows flipped waiting patiently for a positive overtone of changes. But even after the 9th round of talk with the Chinese leadership, there is no sign of any change. The most recent talk held over the last weekend in Beijing may pressumably be the same old story of exchanging thoughts. A day after the delegation visited China, I console myself with optimism and a strong belief that the time has reap for the Chinese leaders to understand about Tibet. With this credence, I posted a quick note in my facebook "Envoys of His Holiness the Dalai Lama are in China for the 9th round of talk on Tibet issues. Hope this dialogue will yield positive resolution for the future status of Tibet". One of my friends commented 'I am not optimistic. I chose to trust my brain rather than my heart which don't agree with each other...I even don't see a light in the tunnel." May be, he is right, there is no sight of light in the tunnel to a foreseeable future. I must confess that I may be carried away by emotions and heart which for every second beats for Tibet. There are few reasons for me to think that the end result of talks will soon be good for the Tibetans. It need not necessarily be exile oriented approach as we understand that our focus remained essentially construe to attaining freedom and justice in Tibet. At the same time, I feel that the dragon will neither soften their position nor sympathized with the people of Tibet. But, I firmly beleive that this dailogue needs a swift resolution which helps China attain their fantasy of harmonious society integrating all minorities to live in peace, harmony and freedom. For fifty years, the Tibet crisis is burning deep inside the heart of Tibet and all over the world. It is judiciously prudent for the Chinese leaders to rethink their policy in Tibet which is rampantly degrading into a fume of chaos, destruction and desperation. Over the years, many of the China's policy on Tibet strive to ignore the crux of the problem which China buried for decades. Instead, they stressed upon national sovereignty, stability and unity of motherland. As a nation state, China's attention on national sovereignty and security shall not be blamed but the ill-hearted and Han chauvinistic approach to exterminate ethnic nationalities using military actions and preferential assimilation policies provoke hatred and disengagement even to the present days. For instance, in the initial three decades (1949-1979), liberation, reforms, democratization were implemented in Tibet with the death of more than a million Tibetans and destruction of 6,000 monasteries. During Deng's era, the establishment of communication with diasporic Tibetans started with an introduction of more liberal economic and development policies. But when Jiang Zemin, the third generation CCP leader succeeded Deng, the hard liners gained prominence on Tibet scene and the shift of policy with firm attention towards national security and sovereignty were seen. Both the third and fourth Tibet Work Forum held during his tenure clearly show how aggressively China pushes their policy of hatred by challenging the position of His Holiness the Dalai Lama. In exile, the Tibetan Government in Exile adopted to seek a rational stand on Tibet by pursuing China to negotiate on the future status of Tibet. Even during the recent Tibet Work forum, the hard liners swept along with the same incongruous approach of hardening their stands on Tibet. In 2002, renewed talk with China started amid worldwide pressures. When the first and second delegations visited China, Tibetans and Tibetan supporters were excited and thrilled to hear something progressive. But it happened to be more of a confidence building measures though we knew that the resolution will not come overnight. Since then, over a year, delegations made a yearly visit to China to talk with the Chinese leaders. Unexpectedly, delegation visited three times in 2008 amidst the ever rising height of tensions and protests in Tibet along with Beijing Olympic Game. China sensed that if the delegations visited China often within a short span of time, Tibetans inside Tibet will ceased demonstrating, diasporic Tibetans and western supporters will hold back pressuring China that concerns them with Beijing Olympic Game. China wanted to have a problem free game and thats what China got. But what happened with us? It was utterly a carrot and stick game which was played and we trusted deceitful China once again. Forgive us for our compassionate mind!! Two things were clearly visible from the 2008 talks. Of course, I am not going to touch on subject of the talk nor on why it went deadlocked with severe accusations and rejections. But, I will try to examine on why China, all of a sudden, calls for a talk one after another in 2008. First, even though China relentlessly rejected Tibetan Government in Exile as a sole representative of Tibetans, for lord sake! even in this present talk, they landed up seeking exile government's help to calm the situation in Tibet which spread like a uncontrollable wildfire. Secondly, China called Tibetan delegations to save their face from foreseeable tragedy of Beijing Olympic when many western countries launched their campaigns of boycotting Olympic. So, I presume that China did recognize the strength of six million Tibetans, Tibetan Government in Exile and Tibet supporters. China took advantage of this with success and slept for one whole year snoring without a hint of opening the dialogue. Few days back, the ninth round of talk was held in Beijing after a gap of 15 months. Right before the exile delegation stepped into Beijing, the Chinese mouthpieces covered their leaders telling His Holiness the Dalai Lama to cherish this opportunity in such a domineering tone. I said to myself, what the hack!! Yes, I repeat, what the hack!!! With this arrogant attitude, one can understand that the talk will not succeed. True to their corruptible and chauvinistic conviction of mishandling the talk, China repeated its old rhetoric of stand guarding China's national sovereignty. The lack of political will on the Chinese side is obvious. Chinese leaders did not take a year to adopt their legacy. Three Represents and the Harmonious society are some of the nation based policies which were thoroughly studied and publicly announced with sheer pomp without much time. But, on Tibet issues, it is hard to understand why China is still confused upon distinguishing between Autonomy and Independence. Are they really dumb enough to differentiate between the two or are they pretending to be mystified by the word 'Genuine Autonomy'. It took more than 30 years to clarify the autonomy which the Tibetan Government in Exile demanded and are still explaining the Chinese leaders of what it means. I can get a hint of why it took three decades and still counting. Because we talk to the bunch of those Cultural Revolution remnants who are not sensible enough to know the differences between Autonomy and Independence. What a shame!! If we questioned the Chinese leaders of four generations to air their views on Tibet, it is of certain that they will talk down in length of old Tibet as a feudalistic society, authoritarian rule, backward, serfdom and slaves. Then, they will patronize themselves as the crusader, saviors of humanity, to rescue and emancipate serfdom, modernize, and liberate Tibet. Whether the Chinese called it liberation, democratization or modernization, the main purpose hidden behind all these initiatives was to invade Tibet and to unify it into the periphery of Middle Kingdom. The liberation and modernization of Tibet are few of the frontline tactics of Chinese colonization, despite the fact the China themselves strongly rejected Imperialism and colonization for more than a century. However, if we retrospect the modernization and development of Tibet for the past sixty years since the inception of People’s Republic of China (PRC), China proclaims that they have done a remarkable improvement in Tibet economically. At this present juncture, there is a need of serious and thorough evaluation on this whole developmental spectrum. PRC for the past few decades had been working tirelessly to project new and prosperous Tibet under their leadership. It can be widely seen as an over rated expression of material development in their communiqués on Tibet and other government mouthpieces. Napoleon rightly prophesied China as a sleeping Dragon, which amazes the world when she awakes. When Mao Tsetung became the Supremo of Chinese Communist party and acceded to the leadership of PRC, China started invading Tibet. He initially planned to adopt policy of gradualism with a central command of strict instructions to all the cadres to move in peacefully without creating any disturbances to the local Tibetans. Thus, the democratization of Tibet was the initial step to intrude into the Tibetan society by touching upon elimination of serfdom. After a year or two, Tibetan realized the horrendous intention of China when thousands of PLA troops marched into Tibet with guns and artilleries. Many resistant movements in defiance took places with many clashes and bloods. Upon reaching Chamdo in 1951, China signaled the Tibetan Government to come to the peace terms and Ngapo, the then governor in charged of Chamdo was designated to negotiate with China. 17 Point Agreement was signed In Peking, which was considered to be signed under duress. With little help from outside world, Tibetan Government succumbed to the policy of PRC, which toppled the hierarchy of Tibetan government establishment by instigating the serfs to revolt against them. Introduction of land reforms and electoral system were initiated under the aegis of PRC, with an aim to gain confidence and legitimacy of the regime in Tibet. Since 1949, Tibet suffered a colossal and rampant disaster for three decades with a destruction of more than 6 thousand monasteries and learning centers, along with dead of more than a million Tibetans. The Cultural Revolution, occurred in mainland China moved parallel into Tibet which toppled the very existence of Tibetan civilization. Monasteries were ruined, the statues were destructed and the texts and literatures were burnt into dust and fumes. Subsequent famine hit all over Tibet with an eclipse of traditional Tibetan economy, due to the large influx of Chinese troops. After Deng Xiaoping ascended to the Central power, China started looking west (both Tibet and the world) with market oriented policy of developing China. Therefore, PRC claims that Chinese system of Socialism is unique and adaptable to the conditions made by the leaders. Mao’s socialism was a mixture of Marxism and Stalinism. Therefore, with the mixture of various theories into practice, China degraded heavily with huge societal breakdown accompanied by a disastrous economic failure. Deng, earlier labeled as a ‘rightist’ boosted Chinese economy with foreign collaborations and succeed widely that charms the Chinese with profitable and advancing economy. Few of the top brass leaders of liberal reformists like Hu Yobang and Zhou Ziyang backed Deng’s formula of economic liberalization. On Tibet, a new framework of policy was established in a more liberal and relaxed manner, integrating economic development strategies. Hu Yaobang’s official visit to Tibet in 1980s drew a positive change in Tibet rejecting the forgone policies as a blunder. He, like Late Panchen Lama, was critical and had vehemently stressed upon helping Tibetans in their developmental works. In 1980, the first Tibet Work Forum was held in Peking in order to strive building a new socialist Tibet. The purpose of such high level meeting was to unify Tibet with special focus on economic prosperity with special interest on reviving the Tibetan civilization. Since then, China claimed to have spent 496 million Yuan (72.66 million U.S. dollars to alleviate its effort to aid Tibetan development through various preferential policies. Every year, 262 million Yuan were allotted to improve Tibet’s infrastructure. Following the renewed contacts with the Dalai Lama in 1979, many fact finding delegations of exiled Tibetan Government based in Dharamsala, India visited Tibet several times to witness the situation inside Tibet. Despite, China’s routine declarations on prosperous and happy Tibet, the exile delegations were not impressed by the overall situation in Tibet. In 1984, the Second Tibet Work Forum was held in Beijing with the dual aim of political stability and economic development in Tibet. 43 small and medium scale development projects were undertaken including new energy, transportation, culture, education and religion with a monetary aid of 480 million Yuan. After the forum, such projects like Lhasa Hotel, Tibet’s Great Hall of the People and stadium were completed. Chinese called these projects as ‘43 Pearls on the Tibetan Plateau’. Early this year, a rare strategy meeting on Tibet was held in Beijing after a gap of ten years. We do not know much of the things happened in the meeting simply because of the lack of sources or communiqués. It may, I guess considered a secretive meeting of more than 300 tight-lipped senior party leaders, where the information was not shared to the public. Normally, the speeches of the President Hu Jintao in many occasions were instantly uploaded in the Government websites after he delivered his statements. But on this Tibet Work Forum, Chinese mouthpiece did not cover even a single piece on this meeting except for the fact that they covered a ‘Retrospect: National Conference on Tibetan Work’ in Xinhua.org featuring all the previous Tibet Work Forum. However, there is an indication of no change in the government policy adhering to the stability of Tibet. While judging through the recent developments taking place in Tibet, one can assume that PRC will maintain its strict and hard line policy in Tibet to bar an ocurrence of similar kind of 2008 protest. My goal is to create a utopia. What exactly is utopia? Every one has got its own sense and understanding of a utopian society. Utopia to me refers to an ideal society, which means a society where there will be no suffering. In other words, for me utopia is the proverbial heaven on earth. In this utopian society, all human beings are free and equal. There will be no inequalities; there will be no racial and religious discriminations. People will live in harmony with nature. In such a society, human beings will live for thousands of years. They will not age. All kinds of diseases have been eliminated. It has no hierarchy. There will be no employers and employed. There will be no officials and organizations of any kind: governmental or non-governmental, and as such no regulations and control. Food will grow in abundance. People do not have to buy them. They will not have to grow crops. It will spring up naturally, here and there, everywhere. All kinds of fruits will be available; eating them will prolong one’s health and longevity. Such a society has already renounced warfare. There will be no conflicts among the people. Love, peace and pleasure would reign. There will be no private ownership of land and property. People will share the abundant wealth of the society among themselves equally. Men in such a utopian society look handsome and charming. The women, especially, are extremely pretty and graceful. There would be no religious and moral scruples to keep the man and woman away from dating and making love with each other. The weather would be pleasant: mild sunshine and cool wind always. The sky would be clear and azure. There would be no storms and blizzards. Sunshine in fact is all embracing and permanent. Darkness is something alien to such a society. There would be no rainfall; as such, no threat of floods. For citizens of this utopian society, the sweet songs of peacocks and other singing birds will greet their day. There will be no competition among them. They don’t have to struggle for livelihood. Their only activity would be to meet among themselves, organize parties, during which they would drink sugar-sweet wine, play games, read poetry, sing songs, perform opera, theatre and dances, in short enveloping themselves with all kinds of merry-making, happiness and culture-enhancing activities.